Florist Notes: Say it with Flowers! Have a Nice day, Happy Birthday. Anything you want to say will fit well with this gift of flowers. You may add add chocolates, a teddy bear and/or helium balloons. 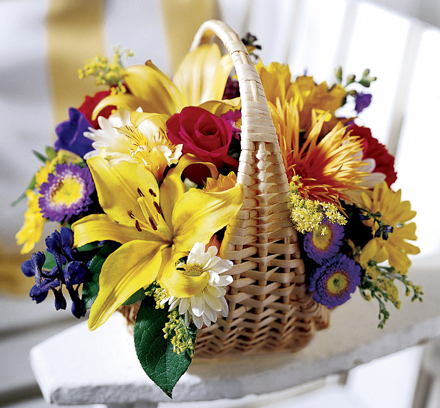 Arrangement Details: A pleasing variety of fresh flowers hand made by the local florist into a lovely wicker basket gift. A good selection to say anything you want..............just send flowers and add your name!